Not surprisingly Group One winning sprinter Hard Spun has many fans amongst Victorian breeders, the former Darley shuttler proving a reliable source of winners. Hard Spun’s time in the southern hemisphere yielding 13 stakes winners including the South African Group One winner Ertijaal and the recent Group One Randwick Guineas winner Le Romain. Hard Spun was the ideal horse for the owner/breeder, 82% of his named foals making it to the track, 66% being winners with his starters’ average earnings sitting at just below $80,000. And so it is time for a son of Hard Spun to stand in Victoria and Benalla’s Riverbank Farm have come to the fore with the talented Late Charge to make his debut at the Benalla stud this spring. Described by Riverbank’s Russell Osborne as “a lovely athletic type with the attributes of his sire,” Late Charge has already settled in well. “He has a fantastic temperament, he is super to handle and extremely well mannered.”Osborne enthused. Late Charge is a son of the Octagonal mare Fantagonal, granddaughter of the Group One South Australian Derby winner English Wonder – dam of the popular four times Group One winner Dr Grace (by Octagonal’s grandsire Sir Tristram) and the Group One South Australian Oaks heroine Asia. This is a family of winners, Late Charge’s first four dams between them producing 22 winners; other members of this consistent family including the stakes winners Whitefriars, Ringmeister, Calveen, Kosi Bay, Fireworks, Striker, First Impressions, Okahu Bay and One For One. Buoyed by the addition of exciting new stallion in Ready For Victory, Sun Stud has announced 2016 stallion fees for its Victorian farm. Standing eight stallions at the Kerrie operation in Victoria, Sun Stud’s Managing Director, Danielle Cheng, is excited about the coming season. Importantly, Sun Stud not only offers competitive fees to some of the most sought out stallions in the country, we also provide a Live Foal Payment on all the sires, which has proven to be a real winner for breeders”. Live Foal Payment on ALL Sun Stud stallions – you don’t pay until you get a live foal! Racing Victoria has agreed, through its Thoroughbred Owners & Breeders Advisory (TOBA) Panel, to undertake a review of Super VOBIS. 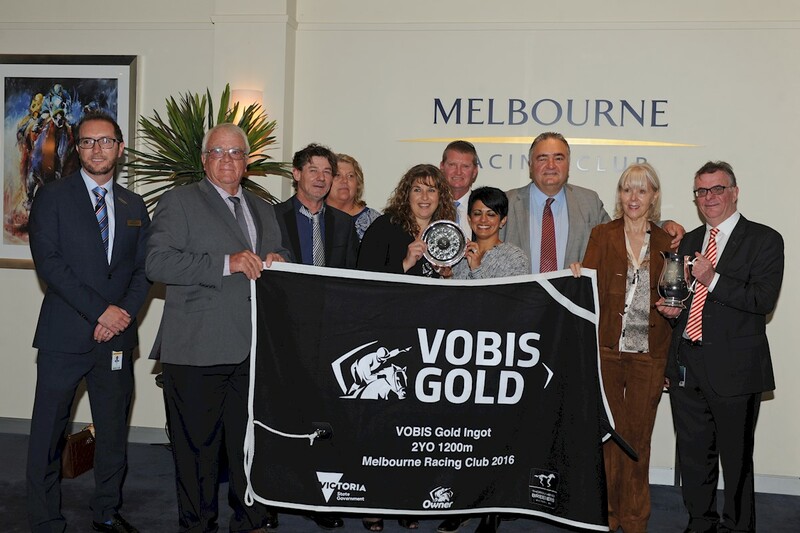 With the introduction of the TBV initiated VOBIS Gold in 2011, there is now more than $20 million in VOBIS bonuses and prizemoney on offer to Victorian bred horses every year. The $1.5 million VOBIS Sires scheme, also a proposal of TBV, will also start in 2018/2019. It is a world leading scheme but there is always scope for improvement. continues to deliver returns to breeders, showcases Victorian bred horses and increases investment in the State’s breeding industry. finally, we want to ensure the nominations system has ongoing integrity – and only eligible horses are accepted. Below is a form to fill out which is then submited to TBV for consideration in its review submission to RV’s TOBA panel. It would be appreciated if you submitted any feedback by May 10. You don’t have to answer every question. Below the form is some background to VOBIS for your guidance and assistance. 1. Should Super VOBIS maintain Categories B (breed-back) & C (non-Victorian sired) or is it important to keep these options for breeders? 2. 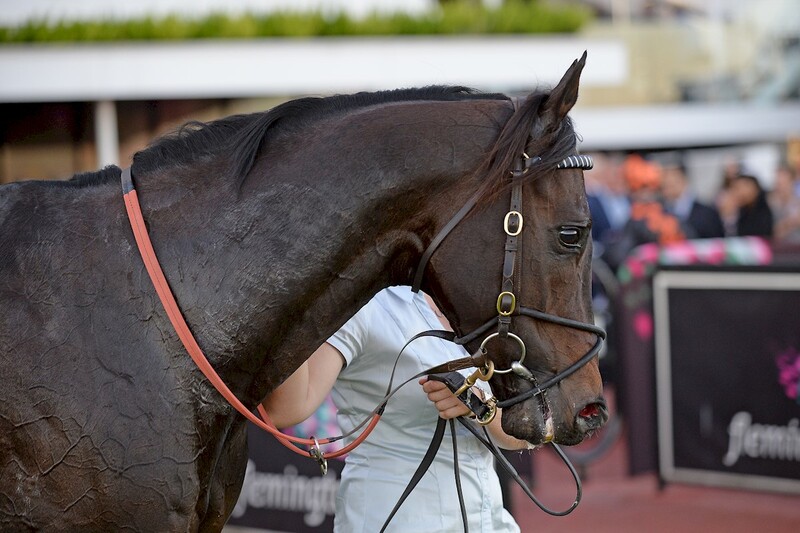 Should there be further racing incentives for Super VOBIS Category A (Victorian sired) horses? If so, what shape could they take? 3. Should Super VOBIS and/or VOBIS Gold payments be made to all placegetters or just the winner (as occurs with NSW’s BOBS scheme)? 4. Would you be interested in a proposal where VOBIS bonuses could be made in the form of a voucher to buy VOBIS nominated yearlings/weanlings and/or service fees for Victorian sires? 5. Would you be interested in making all VOBIS nominations online (rather than just by paper)? 6. What aspects, if any, of filling in the Super VOBIS nomination forms do you find difficult or unnecessary? 7. Have you had trouble with the submission of your Super VOBIS nomination forms? If so, describe it. 8. Any there any other suggestions you have to improve Super VOBIS (criticism and ideas both welcome!)? VOBIS stands for the Victorian Owners and Breeders Incentive Scheme First introduced in Victoria in 1985, VOBIS is a world-leading incentive scheme which has successfully increased ongoing investment in the Victorian breeding industry. In season 2015/2016, more than $20 million of prize money and bonuses are on offer across Victoria’s two lucrative owners’ and breeders’ incentive schemes, Super VOBIS and VOBIS Gold. Super VOBIS is a world leading incentive scheme designed to reward owners and breeders who invest in Victorian bloodstock. Eligible horses can race for up to $10 million worth of Super VOBIS bonuses. All two and three-year-old races in Victoria carry a Super VOBIS bonus in 2015-16 along with many maiden staying races. Further to this, once nominated for Super VOBIS, horses are eligible to be nominated for the VOBIS Gold incentive scheme. The nominator (i.e. breeder or owner) pays a one-off Super VOBIS nomination fee for each eligible foal. There are 3 categories (each with a different nomination fee) in which a horse is eligible for Super VOBIS. Introduced in 2012, VOBIS Gold is a multi-million dollar incentive scheme created to complement the Super VOBIS incentive scheme. VOBIS Gold is offers a total of $5 million in bonuses throughout the 2015/16 racing season, with 250 bonuses races programmed across a variety of tracks and classes including all ages of horses. Nominated horses are also eligible to race in the exclusive VOBIS Gold Premier Race Series, where horses will race for $2.8 million in prize money and bonuses over 15 races (in the 2015/16 racing season). Entry into the VOBIS Gold program is a one-off $1100 (inc GST) nomination fee paid by the owner/s and is only available for Super VOBIS-nominated yearlings. The State Government also pays $1100 into the scheme for every horse nominated. VOBIS Gold Nominations open in May when the animal is a yearling and close in the following August. a minimum $500,000 three-year-old race over 1600 metres to be run for the first time in April 2020. The 2016 foal crop – this season’s coverings – will be the first eligible for the $1.5 million VOBIS Sires feature races should their Victorian-based sire be entered into the scheme. 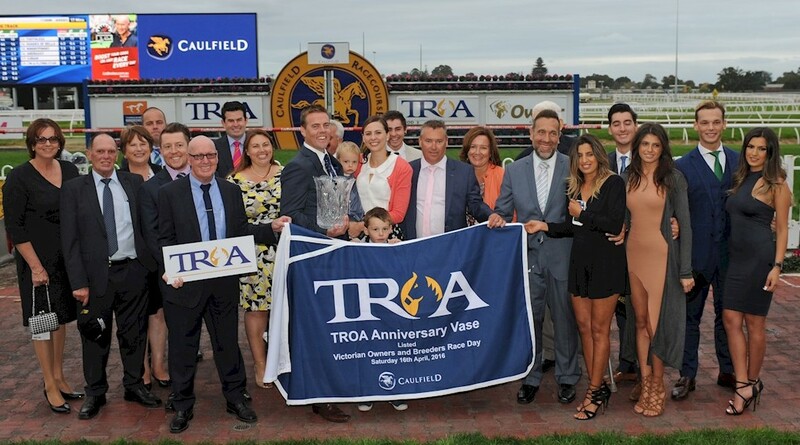 A $300,000 race (1600m) for Victorian sired three-year-olds in 2018 and 2019. For these introductory races, it is not necessary for a sire to be nominated to VOBIS Sires – all progeny of Victorian sired horses which are nominated to VOBIS Gold will be eligible to enter. Nomination fees are paid annually by owners of Victorian based sires and are based the sire’s advertised service fee and the number of mares covered during the breeding season. Full information on the VOBIS programs can be found at the Racing Victoria VOBIS webpage. Saturday’s explosive Group 3 Irwin Stakes winner Nostradamus will get every chance at stud with a big group of Victorian breeders behind Rosemont Stud’s son of Medaglia D’Oro. Now a live chance in next month’s Group 1 Goodwood (1200m), the one-time Golden Slipper favourite boasts excellent credentials to make it at stud. Rosemont’s Anthony Mithen identified the horse late last year as just the right talent to add to the progressive farm’s stallion roster. “He picked himself really,” Mithen said. “Behind Vancouver, he’s the second best performed colt son of Medaglia D’Oro in the southern-hemisphere and he’s not done yet. “He holds entries for the Goodwood and the Stradbroke and it wouldn’t surprise me if he picks one of them off. He’s a smashing sort and a super precocious two year-old who trained on to win Group races at three and four. He trained on to win the Group 3 Gold Coast Guineas later in the season and is finishing his career in similar style as a four year-old. “He’s assured great support and we’ve sold 20 breeding rights to some of the best breeders in Victoria including Musk Creek, Lauriston Thoroughbred Farm, Glentree, Princeton Stud, Robert Crabtree, Michael Christian, Rushton Park and Hollylodge Stud among others. Nostradamus is a half-brother to emerging stallion Star Witness and cost $500,000 at the 2013 Inglis Easter yearling sale. His dam Leone Chiara (Lion Hunter) won the Irwin Stakes in 2006 and she is a sister to Ferocity (Group 2 Ascot Vale Stakes) and Chinchilla Rose (Group 2 QTC Cup). “He already has a book of more than 60 mares, so we would encourage those interested in Nostradamus to contact us quick smart,” Mithen said. 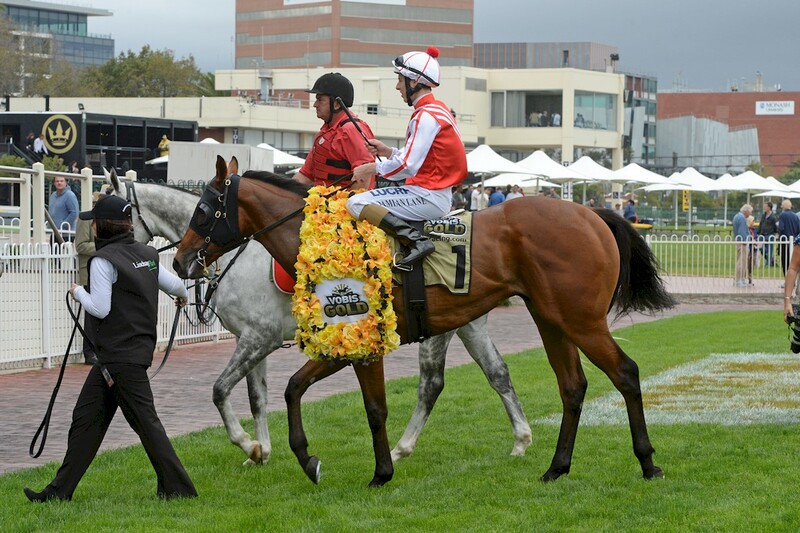 Lauriston Park Stud and Millford Thoroughbreds cheered home Precious Gem to a last-start victory in the Listed Anniversary Vase (1400m) at Caulfield recently and there will be more celebrations in Euroa and Nagambie if she wins a Group 1 at the Brisbane winter carnival. Precious Gem (Econsul) was overdue for a black-type victory having been placed at that level on five occasions before the breakthrough at Caulfield. “It has been a great ride as a breeder. She has been a terrific mare who has always promised to win a stakes race,” Lauriston Park’s Chris Bakker said. Bakker and Millford’s Richard Kerry & Jarrod Byers breed from her dam Gem Of Gems and they have been delighted with the unraced daughter of Peintre Celebre. She is also the dam of Econsul’s Singapore stakes performer Happy Money plus a Turffontein yearling colt and a Written Tycoon filly foal. “She is a lovely mare producing great types,” Bakker added. Precious Gem has been entered for the Magic Millions National Sale and may head north earlier. “The Group 1 Tatt’s Tiara is three weeks after the sale,” trainer Henry Dwyer said. 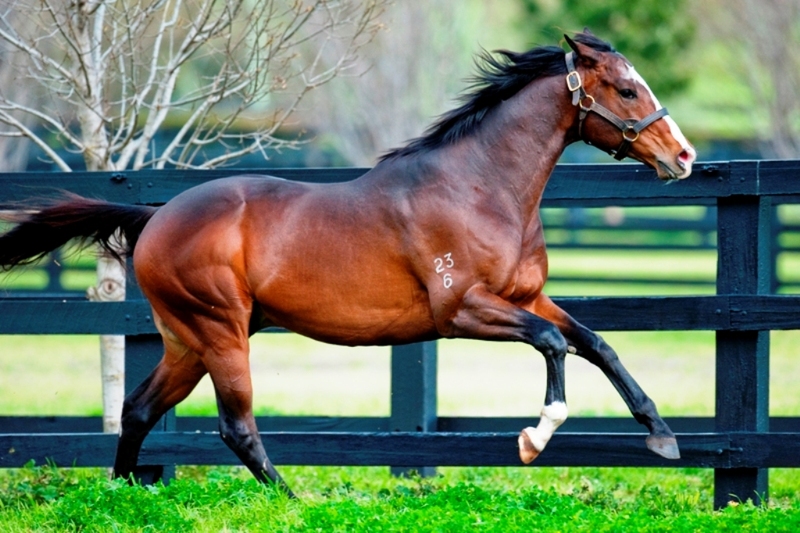 Lauriston Park Stud is home to proven stallion Desert King and stakes winning newcomer Rock Hero (Fastnet Rock). Chris Bakker welcomes new clients to inspect its facilities by arranging a visit on 0427 903 353. Hong Kong owned Eliza Park International has changed its name to Sun Stud. And with that re-branding comes the announcement that two exciting new sires will join their stallion roster over the next two seasons. The name change comes after the initial purchase of the racing and breeding operation by Sun International Chairman Ting Kong Cheng from previous owner Leigh Fleming in 2013. Sun Stud will continue to operate farms in both Victoria and Queensland and is determined to grow its presence both domestically and internationally. It purchased a number of colts at the Gold Coast Magic Millions and Inglis Easter Sales this year and the country’s leading trainers will nurture the careers of these potential stallion prospects. This coming breeding season, More Than Ready stakes winner Ready For Victory has been added to Sun Stud’s Victorian roster at a $9,900 (inc gst) service fee. “Ready For Victory was an explosive 2YO who won a stakes race on debut – so well, in fact, Mick Price suggested we put him straight into the Golden Slipper,” Sun Stud’s managing director Danielle Cheng said. Racing on at three, he was placed in the Group 3 McNeil Stakes, Group 2 Danehill Stakes and Group 1 Caulfield Guineas but Price reckons racing fans never got to see the best of him. “Sure, he was a terrific 2yo and should have won the Slipper but he was always going to…mature into a versatile three and four year-old. Sun Stud also announced it has purchased a stake in Group 1 Australian Guineas winner Palentino (Teofilo). He will race on with trainer Darren Weir before retiring to Sun Stud’s Victorian base at Kerrie in 2017. 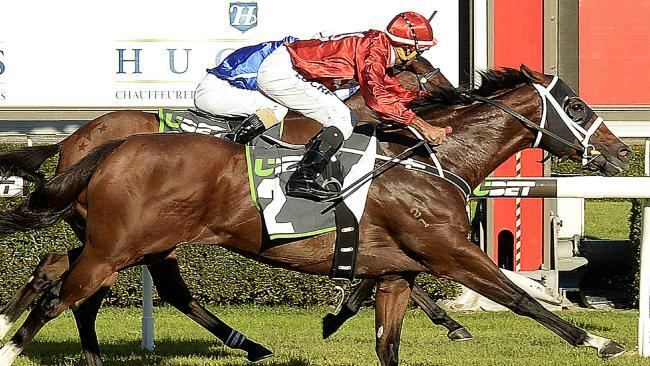 “There were a number of studs pursuing Palentino and we have been fortunate enough to secure a 50% share in him,” Sun’s sales manager Mark Lindsay said. A Live Foal Payment applies for Ready For Victory (and all other stallions) at Sun Stud. For further information, please phone Sales & Nominations manager Mark Lindsay on 0416 334 338. Larneuk Stud’s first-season sire Ilovethiscity is off the mark at stud with precocious filly Moonlover. 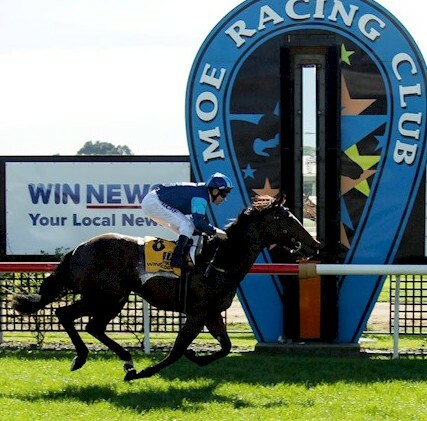 Appearing on debut for trainer Matt Laurie at Moe on Monday, she was untroubled in the Winning Edge Presentations Maiden (1000m) scoring by two lengths from NZ bred filly Swampland. “That was a very impressive win. There’s more to come – no doubt!” Laurie said. Moonlover (2f Ilovethiscity – Moondreamer by Danehill) is from an Irish-bred half-sister to Champion German Miler Emerald Commander (Pivotal). She’s a homebred for Porter Davis Homes director Paul Wolff who also raced Ilovethiscity to a Group 1 victory in the Randwick Guineas. “I have four foals from his first and second crops,” Wolff said. Ilovethiscity is a son of Magic Albert and has had four starters to date. He’s bred on the successful Zeditave – Sir Tristram cross and his dam Kensington Rose hails from the immediate family of champion sires Grosvenor and Lonhro. Larneuk studmaster Nev Murdoch stood Ilovethiscity at a $6,600 (inc gst) service fee last year alongside Cluster (Fastnet Rock) and O’Lonhro (Lonhro). Blue Gum Farm owner Philip Campbell has announced the service fees for his stallions at Euroa this year. World Champion Miler and five-time Group 1 winner. His first European crop comprised 35 individual two year old winners in 2015 including Group 2 winner Painted Cliffs, Group 3 winner Most Beautiful, SW Aktoria, etc. Consistent 2016 Melbourne Premier Yearling results with 8 second crop members sold averaging $105,000 and fetching up to $250,000. Multiple Group 1 winner who, with his oldest progeny just 4YOs, has total earnings through $3.20 million. He has sired the multiple Group winners Fontiton and Fontein Ruby and many recent winners including Darren Weir’s dual Melbourne winning filly Lyuba. Six 2016 Melbourne Premier Yearlings averaged $68,083 with a top price of $120,000. A magnificent looking young grey stallion, he was a million-dollar earner and Group 1 performer from 1400 to 2000 metres. By proven sire Verglas and that stallion’s highest earner amongst 39 individual stakes winners worldwide. Only first crop yearling to be offered in 2016 fetched $34,000, knocked down to Group 1 winning trainer John McArdle. Highly talented and lightly raced son of More Than Ready. Winner of the stallion making Group 3 Up and Coming Stakes. Half-brother to 2015 Group 1 winner Fenway. Closely related to Champion More Joyous and Champion sire Thorn Park. His first crop yearlings sell in 2017. It is no mean feat for a stallion to fill out a trifecta especially when he’s only ever served small books. Regally bred Redente is said stallion and he’s overcoming the odds to upgrade his mares and grab the attention of breeders. 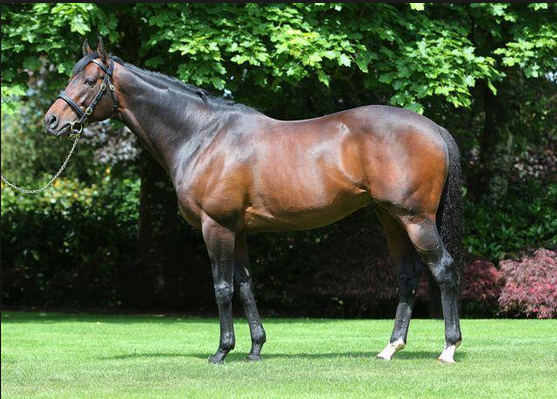 The son of champion sire of sires Redoute’s Choice and Group 1 mare Stella Cadente covered a book of 80 last year whereas the most he had served in previous seasons was just 49. What breeders want is results and Redente is getting them – his latest success an Albury trifecta last Thursday when Grey Strike led throughout to defeat Cheeky Chinchilla and Why Do We Do It in the Daro Twin City Hcp (900m). “It is very satisfying to see Redente record his own bit of history at Albury,” Riverbank Farm studmaster Russell Osborne said. “He’s been a quiet achiever although people are really starting to take notice of him now. Redente has sired 24 individual winners and they show plenty of natural pace, a case in point being Stella The Boss who has scored front-running victories at Ballarat (5 lengths) and Sandown Hillside at her last two starts. Billabong Babe has been another good performer for Redente. The Riverbank Farm homebred won at Moonee Valley last time in while stablemate Squeaky Squirrel is close to adding another win this prep after a Wodonga victory in November. Redente stands for a $3,300 (inc gst) service fee at Benalla-based Riverbank Farm this year and breeders can contact Osborne on 0423 768 155. Chatswood Stud has increased the service fee for its champion first-season sire Reward for Effort to $16,500 (inc gst) this year. Reward for Effort is currently the leading Victorian based second-season sire by earnings, stakes winners and winners off an initial fee of $11,000. Yearling buyers have been quick to recognize his growing success with 14 of his stock averaging $97,500 at the Inglis Premier Yearling Sale. The highlight was a show-stopping colt from Batik that made $380,000 to the bid of China Horse Club. Reward For Effort was the most profitable of all Victorian based sires at Oaklands in terms of multiple of service fee and the Batik colt was the highest priced yearling offered by a Victorian based sire. The Group 1 winning son of Anabaa (USA) had just two yearlings offered in Session II at Inglis Premier and they averaged $47,500. He also had a colt from Wyndam Belle sell for $70,000 at the NZB Select Yearling Sale, so is certainly capable of getting a commercial yearling that can please the market. Gilgai Farm owner Rick Jamieson bred his latest Flemington straight-six winner with lightly-raced stallion Supido on Anzac Day. Supido (Sebring) posted his fifth win running in the Phillip Schuler Hcp (1200m) and trainer Mick Kent is keen to send him to Adelaide for the Group 1 Goodwood (1200m) on May 21. The exciting four year-old powered to the line shouldering 60 kg to score by nearly two lengths in a dominant display. Jamieson’s world champion Black Caviar won a half-dozen Group 1 sprints down the famous straight course and The Quarterback added another in the Newmarket Hcp last month. Jamieson sold Supido through Three Bridges Thoroughbreds for $190,000 at the 2013 Inglis Melbourne Premier yearling sale. His dam Lady Succeed (Brian’s Time) won twice up to 1800m in Japan and she is a half-sister to former Contract Racing stallion Esperero (Forty Niner). Second dam Hydro Calido (Nureyev) was a Group 2 winner at Deauville and is a half-sister to leading sires Exit To Nowhere (Irish River) and Machiavellian (Mr. Prospector). Euroa’s Maluka Thoroughbreds has prepped and sold its first winner courtesy of talented two year-old Hard Empire. 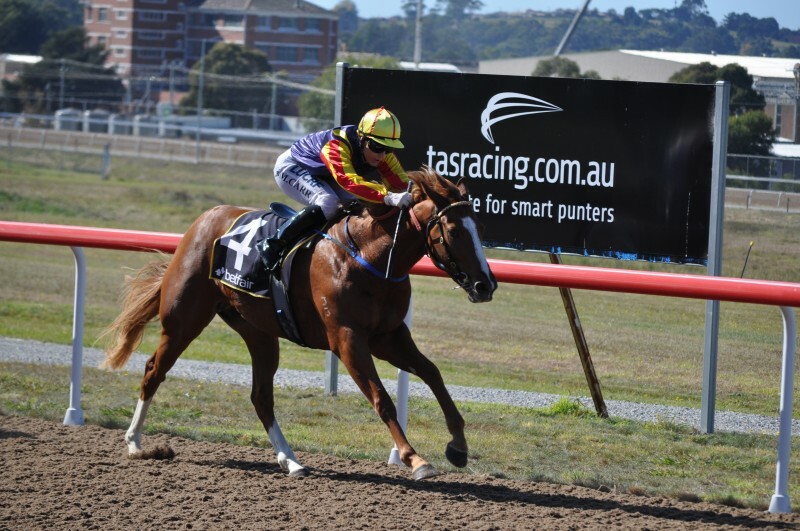 The Hard Spun debutant scored a barrier-to-box victory in the R&J Publishing Maiden (1000m) at Devonport last Sunday. He is a younger brother to Chippenham who also opened his career with a Stawell win in October. 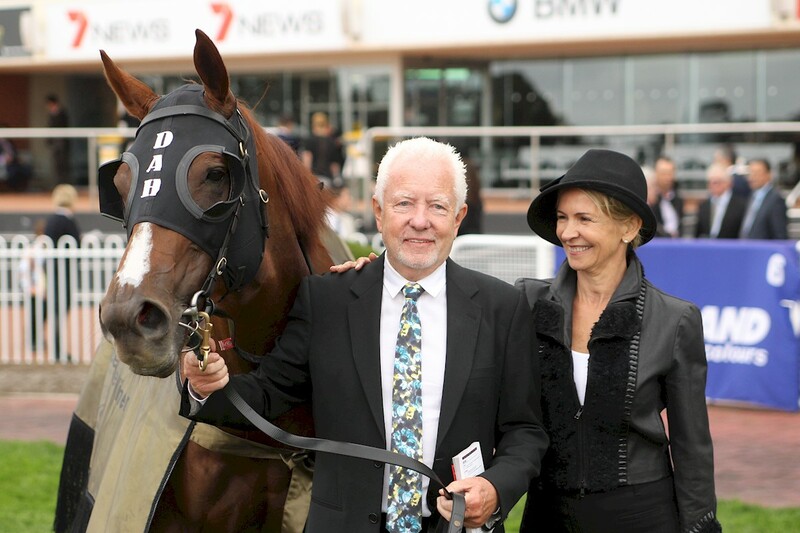 Maluka owners Luke and Mags Anderson sold him (as agent) for $11,000 at the 2015 Adelaide Magic Millions. The Euroa couple founded the specialist sales preparation farm after working at Cambridge Stud in NZ and Chatswood Stud at Seymour. The Andersons continued their climb among vendors at last month’s Inglis Melbourne Premier 1 Sale with 9 yearlings averaging $102,220. Hard Empire (2g Hard Spun- Last Quill by Last Tycoon) firmed into a $2.70 favourite first-up and looked a class above his rivals winning by two lengths. His next assignment will be the Autumn 2YO Classic at Elwick in May. “We will then decide whether to press on to the Sires’ Produce Stakes at Mowbray,” Spreyton based trainer Adam Trinder said. Trinder prepares Hard Empire for a syndicate managed by Charles White. His connections have been involved in other successful stable horses like the California Dane mares California Wish and Foreshore Dane. Group 1 winning sire Onemorenomore has joined the Ridgeview Park roster in Victoria and will stand for an introductory service fee of $5,500 (inc gst). His arrival continues a changing of the guard at the Muskerry East stud following the untimely deaths of Bianconi and Dr Doute’s earlier this year. Owners Phil and Fiona Sloane signed up Al Samer (Redoute’s Choice) to their stallion roster last month and have continued that upgrade with Onemorenomore. “We’re thrilled to buy a stallion of his quality for Victorian breeders,” Phil Sloane said. “He’s still only a 9 year old and there are over 150 foals to come from his last three books at Vinery Stud. Onemorenomore cost $800,000 at the 2008 Inglis Easter yearling sale and paid that back with interest winning the Group 1 Champagne Stakes (1600m) by four lengths ahead of Tickets and Manhattan Rain. 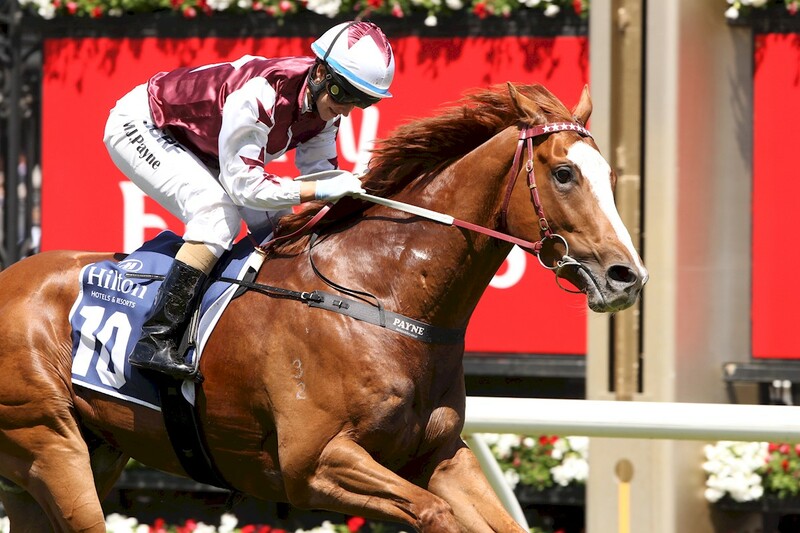 Red Ransom’s top-class sprinter-miler Red Bomber became his sire’s 110th black-type winner in the Group 3 Shaftsbury Avenue Stakes (1400m) at Flemington last month. 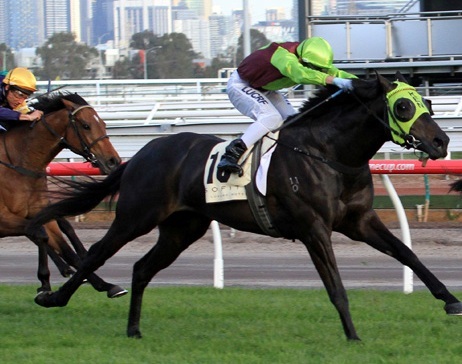 The Victorian bred gelding has earned over $600,000 following lucrative wins in the 2015 VOBIS Gold Sprint (1200m) and last Saturday’s VOBIS Gold Mile (1600m). Onemorenomore was a Top 5 stallion on the Australian second-season winners’ premiership in 2014-15 and is now the leading Victorian based third-season stallion this season with 35 individual winners of $1.08 million. In addition to his domestic statistics, there are numerous off-shore winners in Hong Kong and Singapore where his brilliant two year-olds Genius and Excellent One were placed in last year’s Group 2 Aushorse Golden Horseshoe and Group 3 Juvenile Championship. Onemorenomore’s first-crop filly Onemorezeta won the Group 3 Red Roses (1100m) at Flemington and there are several more black-type winners on the horizon. Gilgai Farm’s homebred filly Alittle Loose is expected to race this long weekend in either the Group 3 Auraria Stakes (1800m) at Morphettville or the Listed VRC St Leger (2800m) at Flemington on Monday. In Queensland, his Doomben winner Lady No More has accepted for the Listed Princess Stakes (1600m) at the Sunshine Coast on Saturday. “Berisha (by Al Samer) won the Mornington Cup shortly after we signed Al Samer. Hopefully, Onemorenomore will now get a stakes winner, too!” Sloane said. For further details regarding Onemorenomore, contact Phil Sloane on 0488 525 063. Victorian based Sun Stud has announced itself as a major new player in international racing and breeding with the acquisition of one of the best 3yo colts in the country. Sun Stud has signalled its intention to become a force in the bloodstock industry with the acquisition of a stake in Palentino – the start of an expansion in Australian racing and breeding. Previously known as Eliza Park International, the change in name comes after the initial purchase of the racing and breeding operation in 2013 by the Sun International Group. 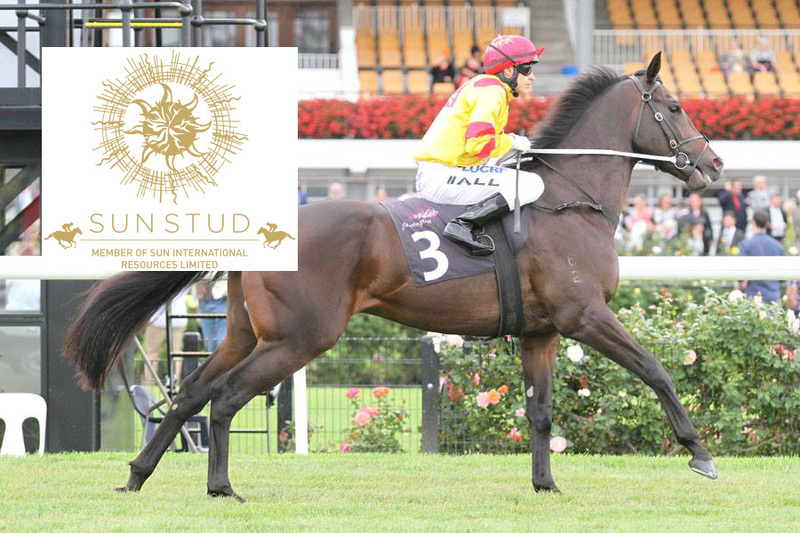 The Sun International Group has vast business interests worldwide and the new name will align the stud with the other successful companies within the organisation. “With its well established foundations and history of success, Eliza Park was the perfect platform for the international growth and development of our thoroughbred interests” said Danielle Cheng, Managing Director of Sun Stud. “We welcome this exciting change and look forward to continued success with the Sun International brand,” Cheng said. Winner of the Group 1 Australian Guineas at Flemington, Palentino is a son of the juvenile Group 1 winner and proven global stallion Teofilo. Palentino will race on for further Group 1 glory in 2016, before retiring to stud in Victoria for the 2017 season. “There were a number of studs pursuing Palentino and we have been fortunate enough to secure a 50 percent stake. He is the type of colt we are wanting to stand and make available for our clients and mare owners,” said Sales and Nominations Manager, Mark Lindsay. Sun Stud will be announcing fees for its powerful 2016 stallion roster in the coming fortnight. The stud is determined to grow its presence both domestically and internationally. A number of yearling colts have been purchased under the Sun Bloodstock banner from both the Magic Millions and Inglis sales this year. The country’s leading trainers will nurture the careers of these potential stallion prospects. Sun Stud currently has ten mares in foal to high profile stallions including Dubawi, Dansili, Invincible Spirit and Medaglia D’Oro in the Northern Hemisphere and the offspring of these well bred matrons will be sold at the major European yearling sales. Another exciting venture will see four mares in foal Southern Hemisphere time to Tapit, imported to Aus- tralia from the USA. Tapit is one of the hottest stallions on the planet at present and the arrival of the mares at the Kerrie farm in Victoria next week will be a major coup. On the international racing front, Criquette Head-Maarek, trainer of 6-time Group 1 winner Treve, has a number of unraced 2yo colts by stallions such as Cape Cross, Sea The Stars, Teofilo, Invincible Spirit and Fastnet Rock currently in work at her Chantilly training base in France. And young gun Hugo Palmer has smart juveniles by Dark Angel and Galileo on his books that are trained out of Newmarket in the UK. While closer to home, Group 2 Grand Prix de Chantilly winner Spiritjim, a €570,000 purchase at the Octo- ber Arqana Arc sale, will race on in the Sun Stud silks. Chris Waller has taken the reins of the lightly raced 6-time winner and he is close to commencing his first Australian preparation out of the leading trainer’s Sydney stable. 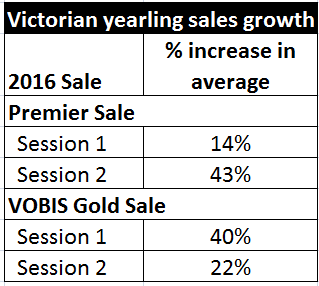 Underlining the strength and confidence in the Victorian breeding and racing industry the Inglis VOBIS Gold Yearling Sale has recorded increases across the board for the fourth straight year. 230 yearlings sold at the sale this year at a remarkable clearance rate of 88% and a rising Select Session average up 40% year-on-year to $18,525. Bidding was fast and persistent over the last two days with 21 lots sold for $40,000 or more, which is more than double the amount from 2015. 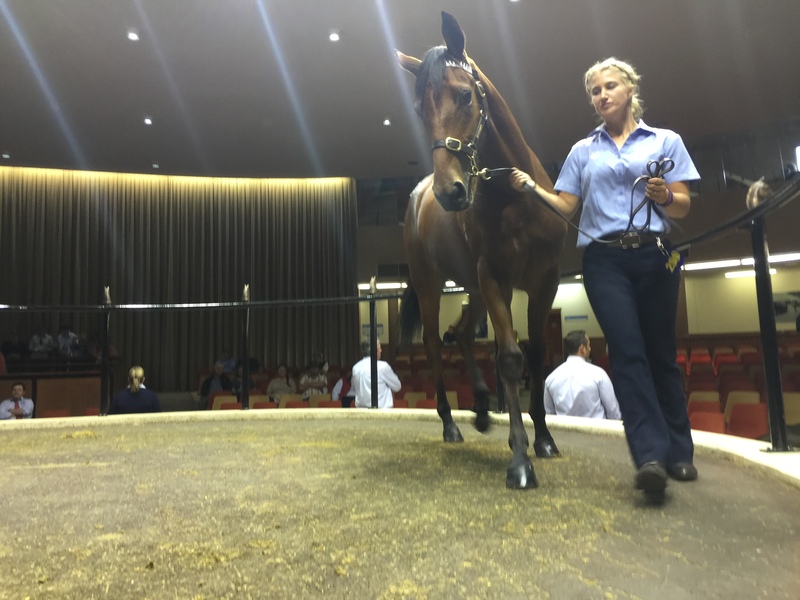 A Stryker colt from Three Bridges Thoroughbbreds topped the sale at $85,000 – bought by Cranbourne trainer Shea Eden. “We targeted this sale due to all the VOBIS bonuses on offer throughout Victoria for these horses. The VOBIS scheme is great for my owners who have access to this prizemoney in Victoria and it is only getting stronger,” said leading buyer Shea Eden. The Cranbourne based trainer purchased six yearlings for $211,000 on Sunday and Monday, including the top two priced yearlings in the sale. Shea Eden will also train the Foxwedge colt (Lot 189) that sold for $82,500. From Canadian stakes winner Dance To My Tune, the colt was sold from the draft of Red Hill’s Morning Rise Stud. “As soon as I saw the Foxwedge (VOBIS nominated) colt I really liked him. He has a strong pedigree being out of Stravinsky mare that ran second in a Group 1 and he just looks like an early type. He has a great nature, good attitude and is really good bodied horse,” said Shea Eden. The Inglis Insurance award for the Best Presented Draft at the Inglis VOBIS Gold Yearling Sale was presented to Jen Fowler of Merrivale Farm, Gooram Victoria. “On behalf of Inglis I would like to thank all vendors who have supported our yearling sales in Victoria this year and have been rewarded with record results across the board, from Premier Sessions One and Two through to this tremendous VOBIS Gold Sale,” said Inglis Victorian Manager Simon Vivian. “To sell 843 yearlings at Oaklands this year at clearance rate of 88% is a great achievement and we look forward to following the fortunes of all of the graduates,” Vivian said. A Stryker colt was the sale topper for the Inglis VOBIS Gold Sale making $85,000 to the bid of Cranbourne trainer Shea Eden. Three Bridges Thoroughbreds sold the top-priced youngster who is from winning Elvstroem mare Actrice. Eden won a Pakenham maiden with Stryker filly Roseberry Street recently and there’s another promising Stryker three year-old in the stable from Royale Harmony (Choisir). “The dam ran fourth in a Victorian Oaks,” Eden added. Actrice was trained by Gai Waterhouse to finish fifth in the 2009 LR Gimcrack Stakes and she later scored three times at the provincials for Marc Connors. Toby Liston from Three Bridges was upbeat when the Stryker colt was paraded pre-sale at Oaklands. “He’s the closest looking colt to Stryker I’ve seen so far,” Liston said. Thoroughbred Breeders Australia (TBA) president Basil Nolan has labelled Racing Australia’s proposal to bring breeders under the rules of racing as a “power grab”. “It tells you everything about Racing Australia that they made the announcement without even bothering to inform TBA and while they were still supposed to be considering a proposal from us,” Nolan said. TBA has written to breeders following this decision indicating their overwhelming opposition to this sledgehammer approach by Racing Australia – the full text of the letter is at the bottom of this article. As part of a wide-ranging list of reforms issued on Friday, Racing Australia will add a clause to the Stallion Return, Mare Return and New Breeder Registration Form of the Stud Book wherein owners acknowledge that they will come under the rules of racing if they have an ownership interest in a foal or thoroughbred. The TBA Board and the wider breeding industry are totally opposed to the new clause. “The rules of racing and Racing Australia are there for the regulation of racing rather than breeding, which is a primary industry,” Nolan continued. Racing Australia chairman John Messara and chief executive Peter McGauran met with breeders at the Inglis Easter Yearling sale to put forward the case for the proposals announced on Friday. “At the end of that meeting a vote was taken of the more than 90 breeders present. No one was in favour of the proposal,” Nolan revealed. Racing Australia said protocols for the enforcement of the rules will be developed with TBA input given the commercial and reputational concerns held by breeders in the event of any action by stewards. Racing Australia considered at length TBA’s submission that these reforms be enacted under the rules of the Stud Book, but said enforcement of the rules of racing is the responsibility of the State Principal Racing Authorities (PRA). TBA has already sought legal opinion on the new policy and will now consider all options in relation to this move by Racing Australia. Below is a letter. I am very disappointed to inform you that Racing Australia today announced they will seek to bring breeders under the rules of racing. This proposal has been discussed for some 18 months now and Thoroughbred Breeders Australia (TBA), along with all of the state breeding associations, has been consistent in opposing it. Essentially this proposal would give racing authorities total control over the Australian breeding industry as they would have the ability to enact any rule relating to breeding and enforce that through the powers of the state racing authorities. There is no representation for breeders at Racing Australia. While some breeders may be on the board they are there to represent their state Principal Racing Authorities (PRAs) and not the breeding industry. Breeding is a multi-billion dollar industry in its own right and it should not be regulated by racing. Racing Australia and the PRAs that administer horseracing in each state are established to run racing and not breeding. TBA believes there is an insufficient understanding on the part of Racing Australia of the breeding industry. This belief was highlighted by the issue of a colt testing ‘positive’ to Regumate (under the new total ban on steroids) at last year’s Magic Millions January sale. Racing Australia had no idea whether Regumate should be classified as a steroid or not and, when the issue first came to light, its chief executive, Peter McGauran, told TBA: “This is nothing to do with us, we only make the rules.” Ultimately, after a lot of negative publicity for the breeding industry, Regumate was ruled not to be a steroid and the colt’s sale was unaffected. TBA is concerned that breeders would be bound by any new rules without proper consultation as there is no mechanism for breeders to have input into how the Rules of Racing are drawn up and applied. Again this is highlighted by the ban on steroids that was introduced; had there been proper consultation then it’s likely the negative publicity surrounding Regumate could have been avoided. Furthermore it is the experience of other stakeholder groups; jockeys, trainers and owners, that Racing Australia does a poor job at meaningful consultation. TBA is concerned by the lack of oversight of Racing Australia as it is a private company, with no governing body or minister overseeing it. While PRAs are ultimately responsible to state governments, if Racing Australia were to introduce bad policies there would be no higher authority for breeders to lodge a complaint or handle any dispute other than through the courts (state governments would have no authority over the national body). Overreach: the rules of racing give stewards and racing authorities very broad powers. For example, only last month, Racing NSW chief steward Ray Murrihy sent a notice to all those currently covered by the Rules of Racing warning them about social media. His missive made clear that any Tweet or post which was deemed “offensive” was punishable under Rule AR 175. Would criticising the performance of a stallion on Twitter be deemed “offensive”? In making today’s announcement Racing Australia mentioned welfare and integrity and I’m sure all breeders agree these are important areas for our industry. However, the rules of racing are there for racing and not breeding and racing authorities are there for running the racing industry. At present there is just one mention of breeders in the 101 pages of the rules of racing. TBA is not against reform. In fact we put a proposal to Racing Australia (as the owner of the Australian Stud Book) which would have seen the stud book introduce new rules which would have enhanced animal welfare, transparency and integrity in the thoroughbred breeding industry. We at TBA still believe our proposal – through the stud book – represents the best way forward in this issue. You can read those proposals in full as they are attached to this email. TBA will now consider all options in relation to this move by Racing Australia. We have already sought legal opinion on Racing Australia’s new policy and believe this move goes beyond the powers that state racing authorities are entrusted with. I have to say that it is disappointing that Racing Australia has not listened to our concerns. At a recent meeting of breeders at the Inglis Easter Yearling Sale Racing Australia chairman, John Messara, and chief executive, Peter McGauran, put forward the case for the proposals announced today and answered questions from many of the country’s leading breeders. At the end of that meeting a vote was taken of the more than 90 breeders present – none were in favour of the Racing Australia proposal. I believe this is a vitally important issue for all breeders and TBA is committed to keeping you all informed of any developments. In the meantime I would urge you all to contact your principal racing authority and state racing minister to let them know what you think of Racing Australia’s proposal. For more information contact TBA chief executive Tom Reilly at tom@tbaus.com or 0423 146 334. Dorrington Farm owner-breeder Rob Crabtree pocketed all the bonuses on offer when his homebred Miss Promiscuity won the $280,000 VOBIS Gold Sprint at Caulfield. The Magnus mare has banked $583,320 since winning a Dunkeld maiden as a spring three year-old, but the Hastings-based breeder has been involved with both sides of her family for generations. Magnus won the Group 1 Galaxy in Sydney for Crabtree and his wife Yvonne and they stand him in association with Eliza Park International. His VOBIS Gold Sprint winner is out of Zipstream (Distant Music) who won at Sandown carrying the couple’s red and white checked colours. “I bred the mare, I own the dam, I own the sire” exclaimed a thrilled Crabtree in his winner’s acceptance speech at Caulfield. Miss Promiscuity will be given the chance to emulate her sire in Group 1 company this campaign. “She has been racing really well for the best part of 12 months and Craig (Williams) didn’t move on her until the furlong,” trainer David Hayes said on Saturday. Zipstream is a half-sister to the Dorrington Farm bred stakes winners Amtrak (Flying Spur) and Furio (Testa Rossa) and she foaled a Magnus colt for the Crabtrees in October. Meanwhile, Magnus’ million dollar earning mare Magnifisio has notched her 7th stakes victory in the Listed Sheila Gwynne Classic (1400m) at Ascot. She will be favoured to claim more black-type in the Listed Northam Stakes on May 1. The Perth based mare is the leading earner for Magnus with $1.43 million topped by a Group 1 victory in the 2014 Winterbottom Stakes. Managing part-owner Alan MacAlister said Magnifisio will be entered for the Magic Millions National Sale after completing her current campaign. “If she doesn’t reach her reserve, we will send her to a sire over in the east,” he explained. Alongside those two weekend winners, a perplexing ride didn’t give Magnus’ son Malguerra much chance in the Group 1 All Aged Stakes at Randwick. 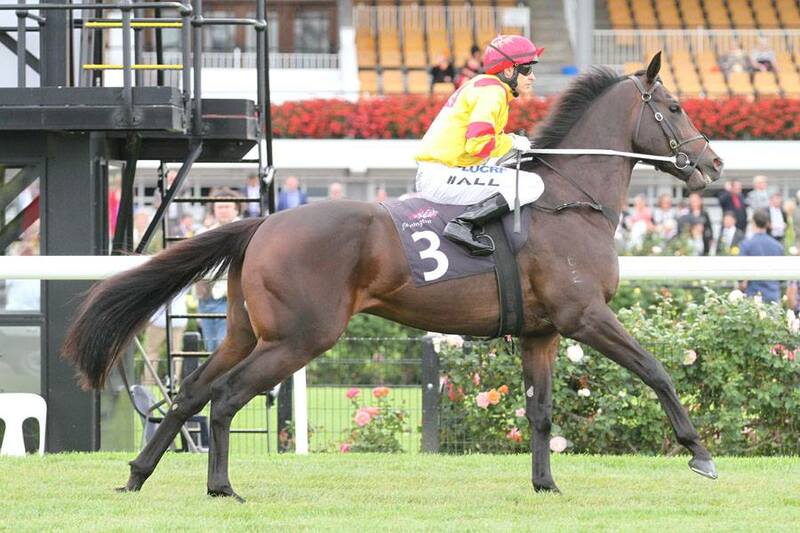 He is still expected to line up in Brisbane for the Group 1 Stradbroke Handicap. Finally, The Alfonso, a son of Magnus bred by Peter Moody, couldn’t quite secure a victory in Sunday’s Group 1 Macau-Hong Kong Trophy finishing runner up. Already proven as one of Macau’s best gallopers and having performed admirably in Hong Kong, he has now won almost half a million dollars in this season alone. The late John Hoare and his wife Betty raced numerous VOBIS feature winners but none better than Red Bomber. The Hoares operated Devon Park Stud at Coldstream and bred Saturday’s VOBIS Gold Mile (1600m) winner before John’s death a little over two years ago. TBV member Betty continues to race in their orange and blue colours with Red Bomber a standout earning prizemoney and VOBIS bonuses over $600,000. Red Bomber (5g Red Ransom – Hanover Fist by Flying Spur) defeated Group 1 star Trust In A Gust in last year’s VOBIS Gold Sprint (1200m) at Caulfield and he broke through at Group level in the Group 3 Shaftsbury Avenue Hcp (1400m) at Flemington last month. The VOBIS Gold Mile was his 11th win in 21 starts for prizemoney and VOBIS bonuses over $600,000. Devon Park topped the Melbourne yearling sale on more than one occasion and its top-class horses included Caledonian Boy (1987 G1 Elders Mile) and Nine Tales (2009 G2 Sandown Stakes). Through Devon Park Stud, the Hoards have bred the likes of Devon Princess (winner of the VOBIS Gold Classic), Worth A Ransom (VOBIS Gold Eldorado) and Making Mayhem (VOBIS Gold Eureka Stockade). They also bred Lady Of The Pines (Bluebird) which claimed the Group 1 Thousand Guineas at Caulfield in 1997 for former TBV committee member Emma Boling. Betty Hoare bred Red Bomber’s dam Hanover Fist to Woodside Park sire Zoustar in November. Unfortunately for Betty and the Lindsay Park operation, Red Bomber was found to have bowed a tendon following the race and now faces an extended period on the sidelines. 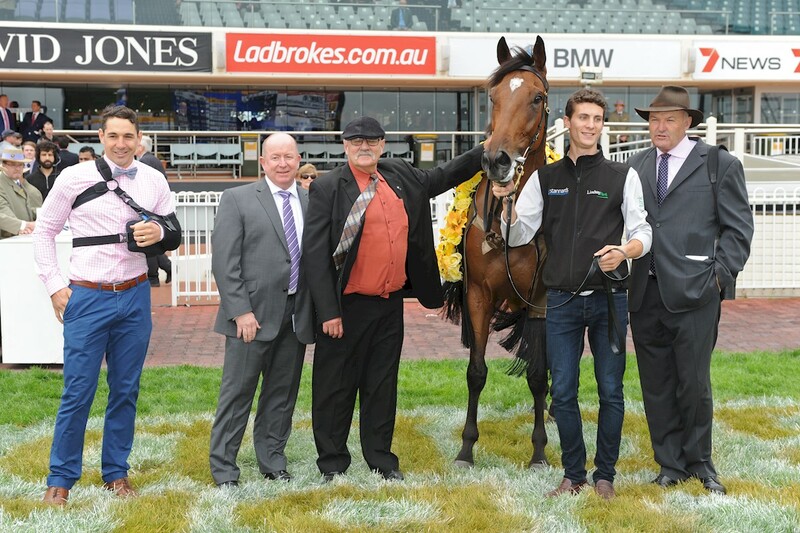 Valliano was a fitting winner of the $180,000 Vale Phil Sly VOBIS Gold Ingot Plate (1200m) at Caulfield on Saturday. He is the second foal from Miss Valley Road (Elusive Quality) which Sly raced with trainers Leon & Troy Corstens for wins at Benalla and Bendigo. This year’s race honoured the prominent racing and breeding identity who lost a battle with cancer earlier this month. 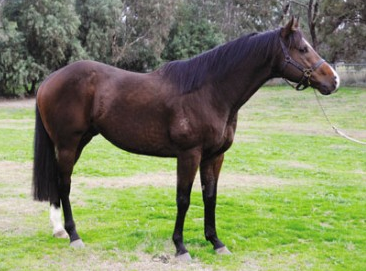 Valliano was bred and sold by Swettenham Stud’s Adam Sangster along with Tatura’s Stuart Pickworth. 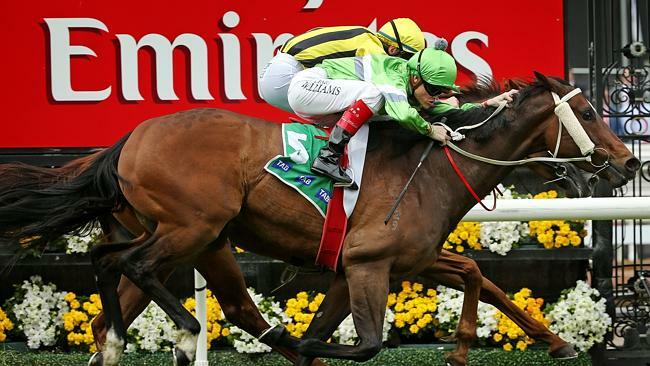 The gelding is now the leading southern earner by Swettenham’s Group 1 shuttler Equiano (Fr). 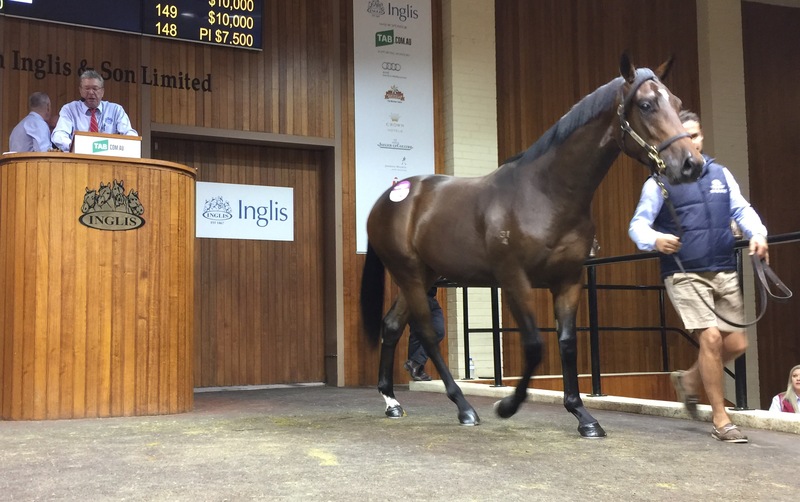 He cost Lindsay Park $60,000 at the 2015 Inglis Premier Yearling Sale and has now banked over $354,000. Valliano had won the $250,000 Listed Inglis Premier (1200m) at Caulfield in February before an unplaced run in the Group 1 Blue Diamond. Miss Valley Road has an Equiano yearling filly with Mornington based Graeme Gathercole and she foaled another Equiano colt in October before breeding back to Toronado. Equiano is a Top 10 sire on Australia’s second-season table with 21 individual winners approaching $1 million in earnings. He will stand for a $13,750 (inc gst) service fee at Swettenham in 2016.